I like Totally Target on Facebook too! Thanks for the giveaway! That’s a cute submarine giftcard. What a great card! Thanks for the giveaway!! This would be a great way to help with my son’s birthday in two weeks! I am a FB fan, have been for quite some time. Appreciate all you do, have a grand weekend. The card is sooo cute! I never saw this at the store, and I go there a lot! This would cover the party favors for my son’s 9th birthday! Thanks for the chance to win! Love your site! Would love it if you pick me Please! 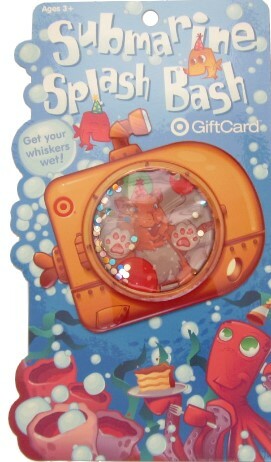 i love target, i would love to win this gift card! how cute. would love to win. Cant wait till I win someday! This card is just adorable! Super cute! Thanks for the giveaway! I already like Totally Target on FB – thank you! Thanks for all the work you do with your site. Love it! That is a super cute gift card! Thanks for another great giveaway. Best of luck to everyone!